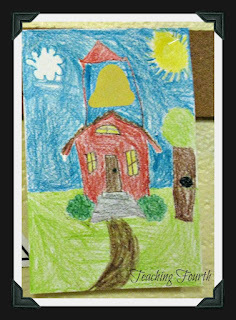 To begin this Fun Friday, I want to share an art activity that we did the first week of school. First, I read Manners at School by Carrie Finn. Click here to see link to book. This is a very simple, but effective book. After reading, we discussed that manners sometimes feel like a "lost art". Sometimes, it seems, that people don't have the manners that they once had in the "olden days." We then discussed how perhaps our parents and grandparents were expected to have and use manners when they were growing up, but that it is also important that we learn and use manners as well. 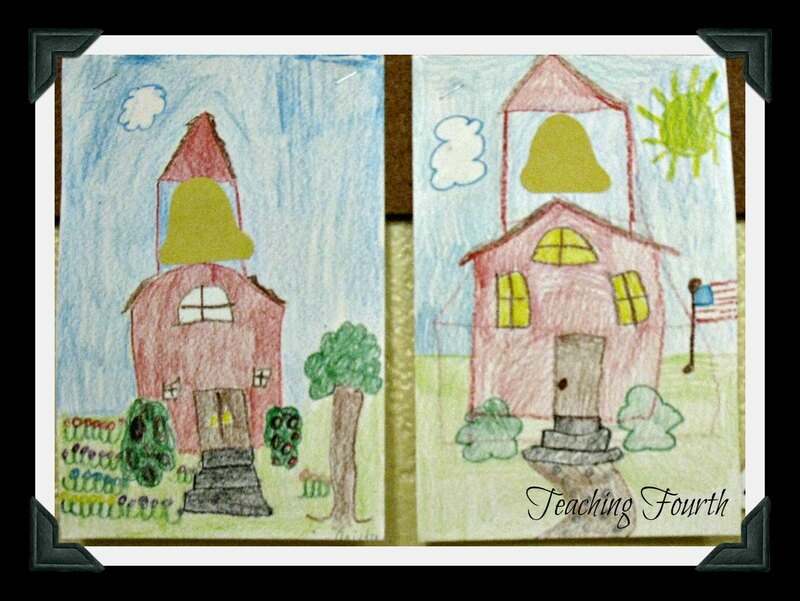 We then create art work of schools from the "olden days." 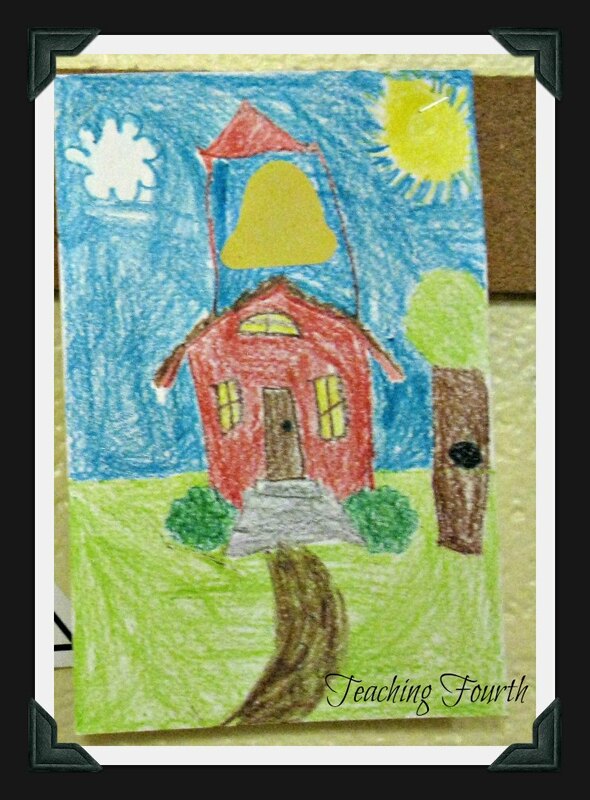 I give each child a cut out of a bell. Students then draw and color a schoolhouse for their bells. I think they turned out great, and the students seemed to have a lot of fun creating their schoolhouses! 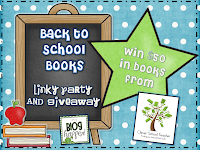 I am also linking up with Blog Hoppin' for their Back to School Books linky party. 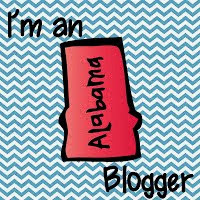 I would love for my blogging friends to link up your favorite fun activities, lessons, games, centers, ideas, creations, etc. and share. Just grab the button and link back to my page! Please spread the word and link up with me for Fun Fridays! Also, you may link up after Friday as well! 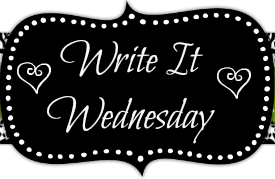 I am beginning a new series, Write It Wednesday, to share ideas and lessons that I use in my language arts writing classes. 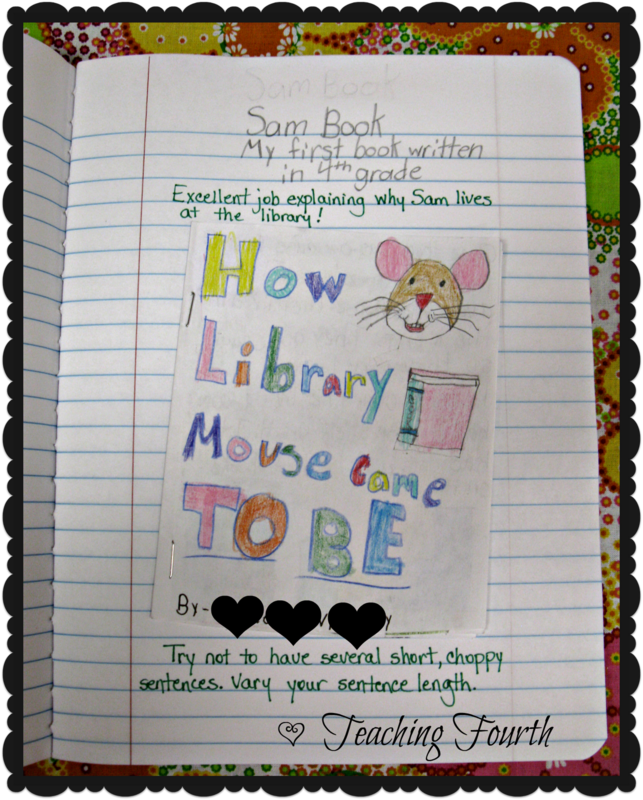 I love mentor text, and the book that I read in my writing classes was Library Mouse by Daniel Kirk. This is a wonderful book to inspire students to write. I made simple small books, and the children wrote their stories. Then they pasted their books onto a page in their writing journals. I tried to put one positive comment and one comment about an obvious writing skill, grammar error, or punctuation/capitalization error that they could improve upon. I did not instruct or remind students about any grammar, capitalization, or punctuation rules before they began writing. This was our first writing assignment, and I wanted to see exactly what my students know, and I learned a lot about their writing. I can't wait to see how much they grow as writers. 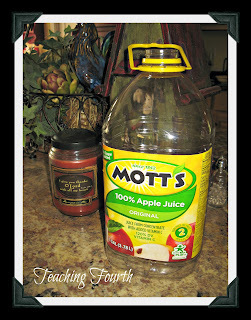 Come find out what the fun is Friday with my new Fun Friday Series! 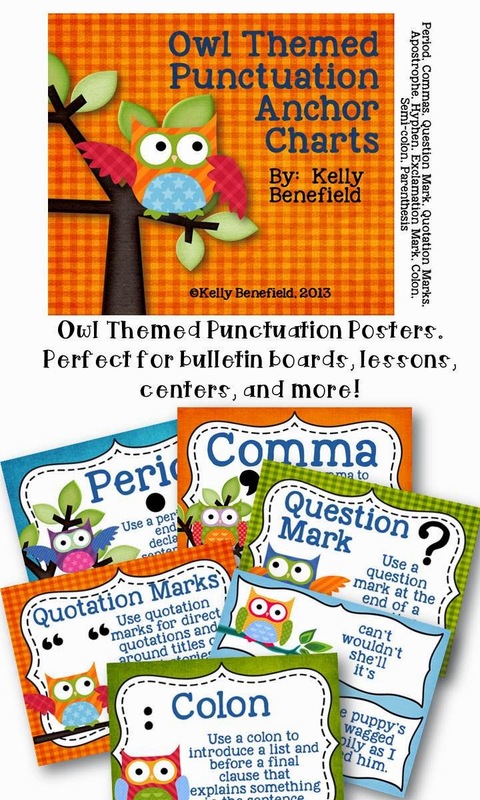 I now have two new owl themed products on my TpT store. First, I have my cute owl themed book bin labels. 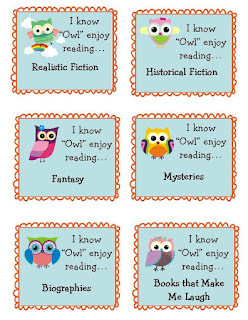 These owl labels will make your book bins look adorable! My students love them! The first 3 pages are even editable! I have had so much success with my first set of posters, that I now have a second set of owl themed motivational posters. Six posters are included in this set.﻿ Check them out! 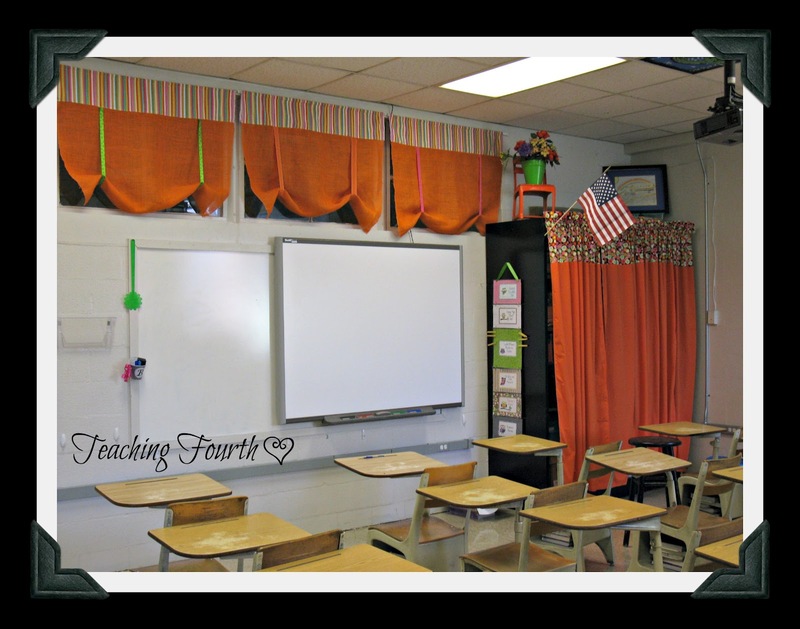 I wanted to take you on a final tour of my classroom. 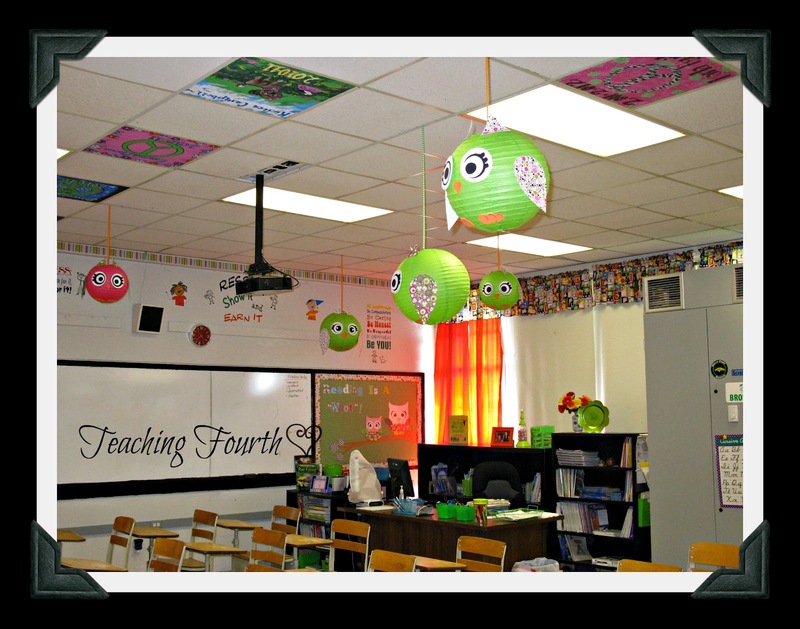 I'm linking up with Blog Hoppin's "Where I Teach Wednesday". Before I take you on a tour, I'd like to ask you not to be too critical of my desks in rows. I know. If I had my dream room, I would have the flat desks and chair combination, and I would love to arrange them in groups, but I have the old fashioned type of desks. Unfortunately, these desks do not work to put into groups because of the slant of the desktop. Students inevitably lean forward and these desks tend to topple over. It is impossible to place them side-by-side because students can't get in or out. Therefore, my straight rows. Instead of groups, I do I lot of partner work. Hopefully, someday, I might have my dream desks. Now on to the classroom tour! Here is a view of my classroom as you enter my room. (The big tin box is our air conditioner/heater.) My students love the owls. 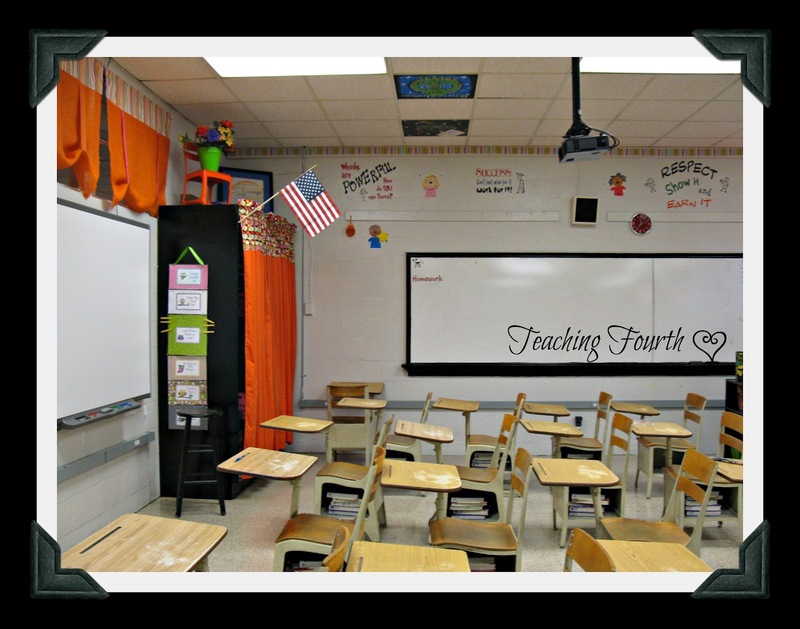 In the front of the room I have my Smart Board. I hung the bright orange curtains that I made over my closet and over the windows into the hallway. Over my white board I have some of my favorite sayings. 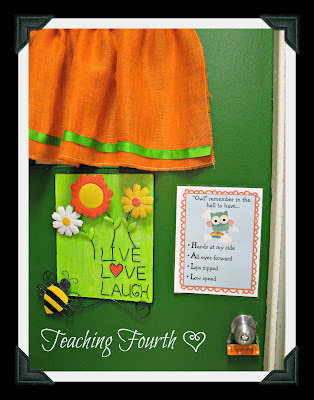 I hung my behavior clip chart on the closet where it is easily accessible. From this angle you can see the shelves that I painted. I have the picture books that I use to teach reading strategies and writing strategies organized here in bins. Here is a closer view of some of my bins. I actually know where all of my books are in my room! From this angle, you can see the classroom library on the left. The student computers are covered with fabric. I like to do that at the end of the day to help keep off dust. 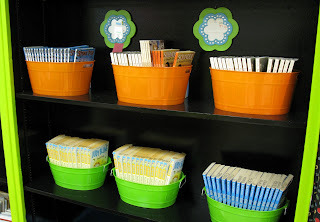 Here is a closer view of my book bins. 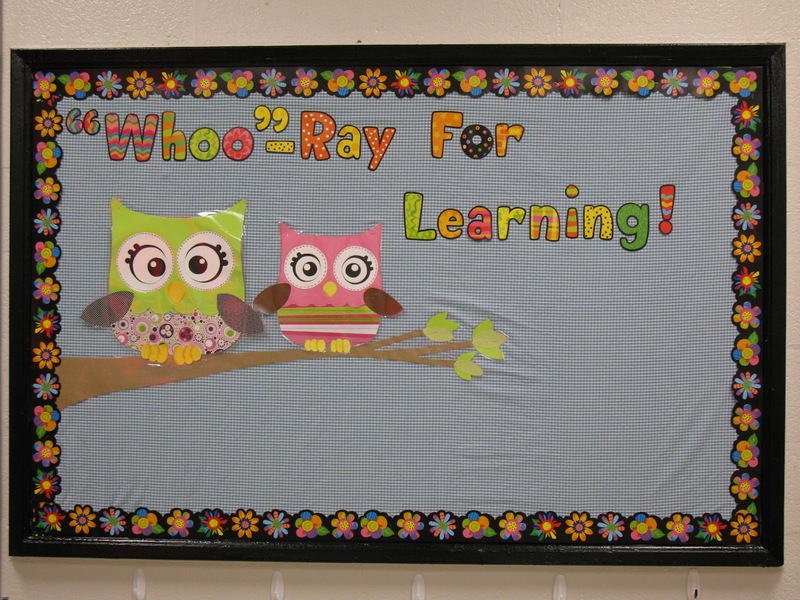 This is the bulletin board at the front of the room. 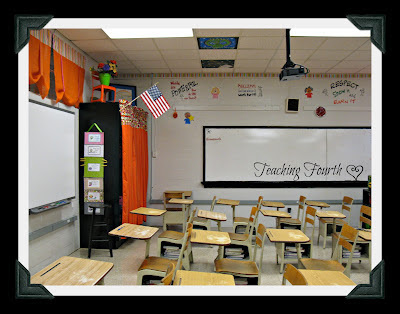 I plan on placing my lesson objectives here. 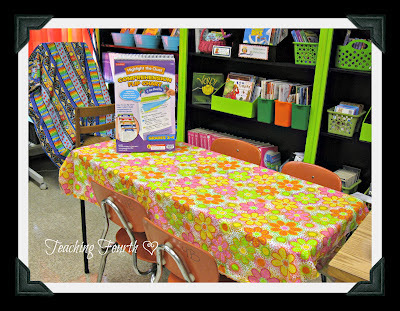 This is my small group table. 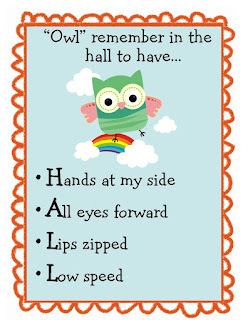 I have hung my owl hall behavior poster on my door. Click here for the link to my hall poster. Also, don't forget to enter my giveaway to win these posters. Click here. I'm just now joining Blog Hoppin' Teacher's Week on Technology Tuesday. I want to share a website that my classes have enjoyed using: Sheppard Software. This is a free website full of educational games and activities. My favorit﻿e pages include the U.S. Geography Games page. Here you will find games that will help students learn the location of each state in the U.S. Also, at the left of the page, students can find information on each of the 50 states or on each U.S. President! This is wonderful for research! Sheppard Software also includes language arts games. The math games are terrific. There are many different games offered for so many different skills. You are sure to find just what your students need. If you have not entered my 50 Followers Giveaway to win my Owl Posters Set as well as the Owl Themed Parent Donations Motivator, please click here. After all of the hard work I've put into my classroom, I thought that I was finished with classroom decoration/organization, but I have been inspired by Abby's student affirmation signs at Third Grade Bookworm. I love what she shared about adding student affirmation to each day. Instead of naming your tables and groups 1,2,3, etc. or blue, yellow, and red, try naming them awesome, tremendous, remarkable, marvelous, and magnificent. Soon, your students will know that is exactly how you feel about them. I just love this idea! I have always loved to settle the class down by saying something like, "I like how group 1 is seated and ready to line up for lunch." Now, I will say something like, "I love how the awesome group is ready to line up for lunch!" Please check out Abby's blog to find out more. Abby has some great free student affirmation signs that you might like to download to use in your classroom (Please let her know that I sent you). 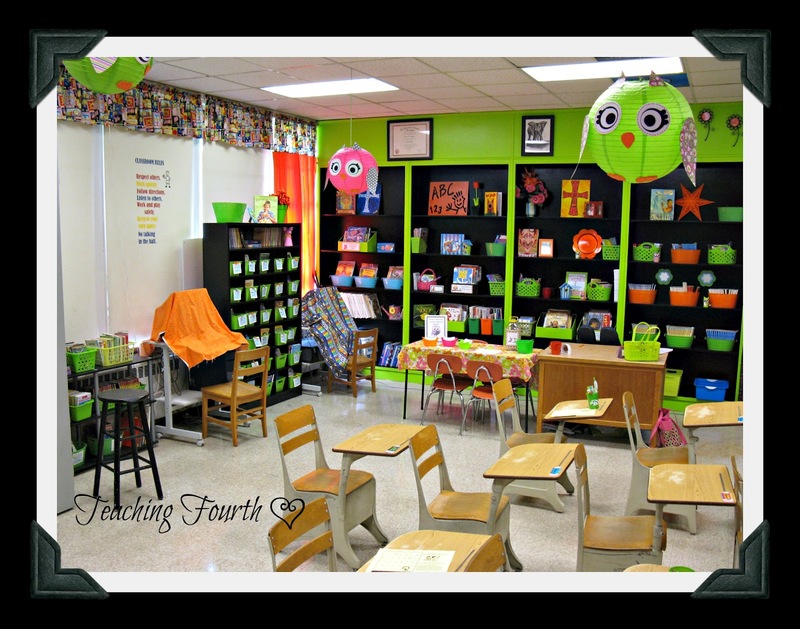 If you would like to continue with the owl theme, like I have, I have created some owl posters for free just in time to share with Tara at 4th Grade Frolics for her Monday Made It #12 linky party. I'd just love for you to leave a comment and become a follower (if you are not one already) if you download these signs! If you haven't already entered my 50 Followers Giveaway, please click here to enter and win my Owl Motivational Posters and Owl Themed Parent Donation Poster and Card Set from my Tpt store. Just click either picture below to go to my Tpt store to download these free posters. Enjoy! 50 Followers Giveaway! Thank You!! I am thrilled to have reached 50 followers and to be sponsoring my first giveaway. (I so hope I do this correctly!) Thanks so much to everyone who is already following my blog. I will be giving away two of my items from my Tpt store. The first is the Owl Themed Motivational 7 Poster Set. 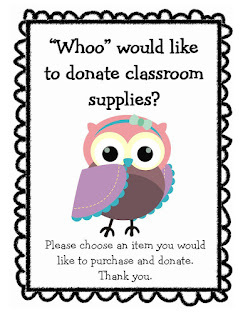 Also, I will be giving away﻿ my Owl Themed Parent Donation and Card Set. Use this at open house, parent teacher conferences, etc. to request needed donations for your classroom. Thank you to everyone for visiting, following, and commenting! I am amazed at the number of visitors I have had in such a short amount of time! I know that so far, I have mostly shared classroom decorating ideas. Now that school is about to begin, I can't wait to share with you ideas for lessons, reading, writing, language arts, art, and more! Please continue to come back and visit! First of all, I have to say that I am very blessed to work in my school system. Our system-wide inservice was today, and all of our schools gathered together at a local church to be inspired by our Superintendent. He is a wonderful man of God and a terrific motivating speaker. After listening to him speak this morning, I feel so privileged to be a part of our school system and the plans for its future. 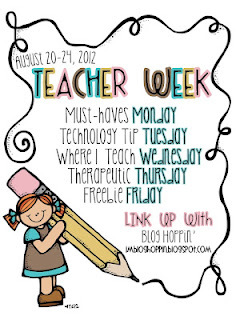 I am excited about teaching and influencing the lives of my students, and I feel blessed beyond measure! 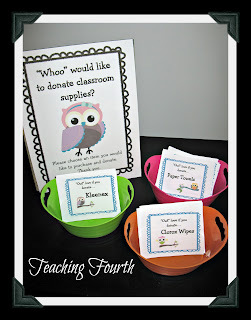 At our school we are allowed to let parents know that they are welcome to donate supplies to the classroom. I usually let them know that we could use things like Kleenex, Clorox wipes, paper towels, and hand sanitizer. This year, I made owl themed cards for the parents to pick up to remember what they would like to donate. 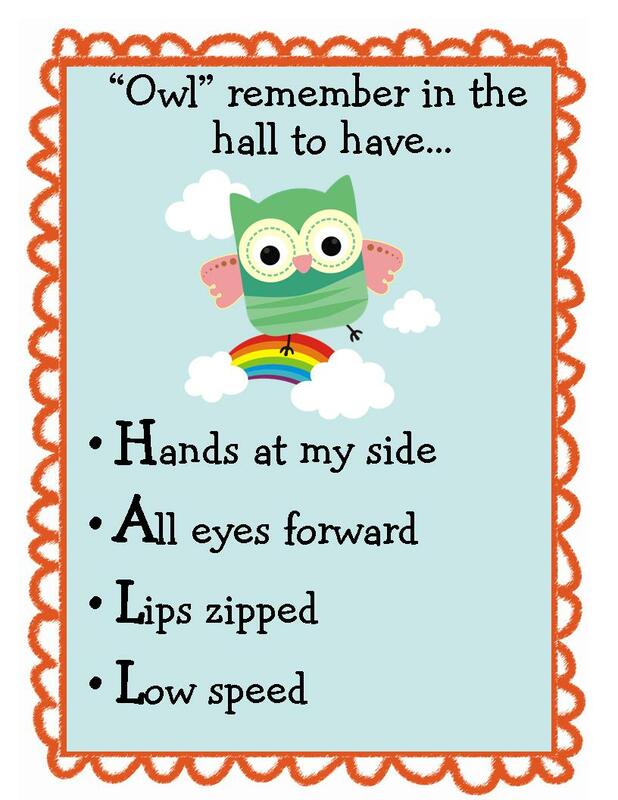 This owl theme, "Owl love if you donate," poster and card set includes one poster to get parents' attention at open house or perhaps parent/teacher conferences. Also included are cards for parents to keep to help them remember what items to purchase. Small signs (1/4 page) can be used to hang with larger poster. Thank you notes are ready to print and give to parents when items are donated. Also included are small signs requesting donations of Box Tops and ink cartridges. These signs can be placed on jugs or containers for collection. 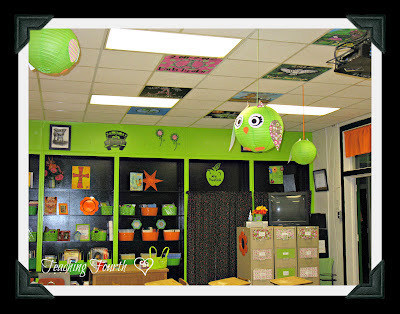 Pictures are included to inspire ideas for display and use. I have placed this for sale at my TpT store. Just click any picture above for a link. This set contains 16 pages which includes a poster, cards for parents to remember items to purchase, as well as thank you notes to send to parents when they donate items. Today was our first workday at school. It was good to see everyone again. My sweet coworkers were sharing ideas (many found on Pinterest), and I was admiring their cute classroom decorations that had been made over the summer (once again, Pinterest inspired). All of their rooms are looking great! Today I made a couple of items. 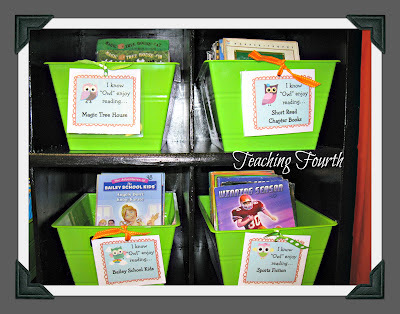 First, I cut out my owl themed book labels and attached them to my boxes with ribbon. In the past, I used rings to attach the book labels, but the rings were too small for my new boxes. I looked to see what else I had, and I decided to use the ribbon I had left over from hanging my owl lanterns. I thought they turned out pretty cute! 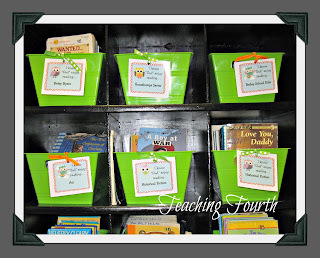 These are editable and available at my TpT store! Check them out! We will be having open house this week, so I wanted to do something to let parents know that I will be collecting Box Tops. 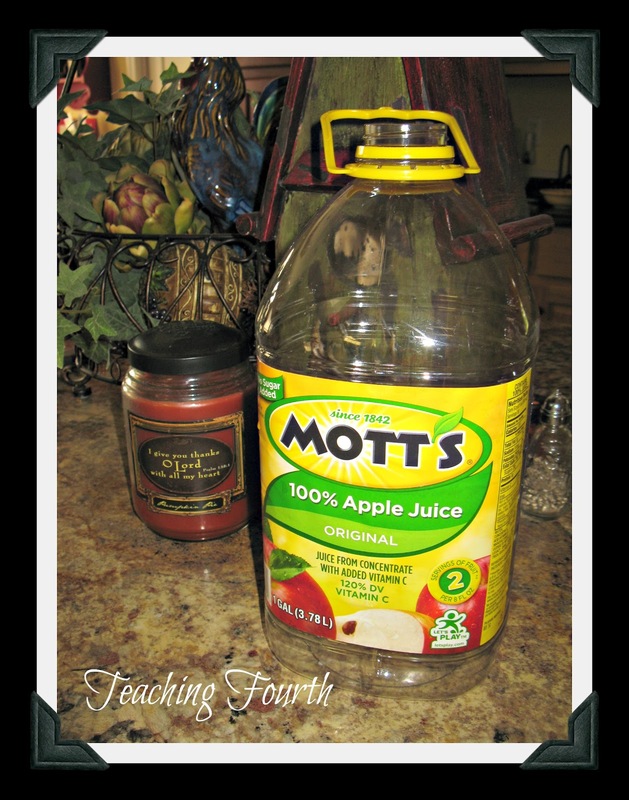 First, I took an apple juice bottle. 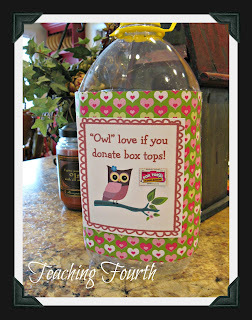 Then I attached some scrapbook paper and printed and attached a label to create a cute container to collect Box Tops. When the container is full, we will celebrate!! 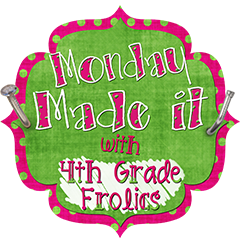 I'm linking up with sweet Tara for Monday Made It at 4th Grade Frolics. Are You a Google Search Ninja? Fabulous Find Friday in Teaching Fourth!